New theatre set to open today on site of original facility which opened in 1662. A DUBLIN CITY theatre is set to reopen this evening after a 225-year break. Smock Alley Theatre was founded in 1662 by John Ogilby as the first royal theatre in Dublin and staged the plays of George Farquhar, Olive Goldsmith and Richard Brinsley Sheridan during its early years. It also staged performances by stage legends actors Peg Woffington and David Garrick. The theatre closed in 1787, after which it served as a store, a church and a tourist attraction. After a €3.5 million investment and years of research and fundraising, the new theatre is set to open on the same foundations at Smock Alley Theatre was originally based. The walls are the same as those that housed that first incarnation of the theatre, but the new facility has a new green room, dressing rooms and 177 seats in the auditorium. The site also houses Smock Alley Boy’s School, a 100-capacity space suited for staging experimental shows and productions. There is also the Banquet Hall with plasterwork and stained glass windows from the theatre’s time as a church. The hall can hold 350 and will be available for conferences and events. The theatre will also be the new home of the Gaiety School of Acting. More than 200 artefacts were discovered during excavation works in 2009 ahead of the site’s redevelopment, including wine bottles, clay pipe fragments, oyster shells and an actors’ wig curler. The inaugural production at the renovated and refurbished Smock Alley Theatre will be Oliver Goldsmith’s She Stoops to Conquer, which was first performed there in 1773. The production will be performed by the recently-reformed Smock Alley Players – a company originally established in 1662. The show will run until 2 June and tickets cost €10/€15. 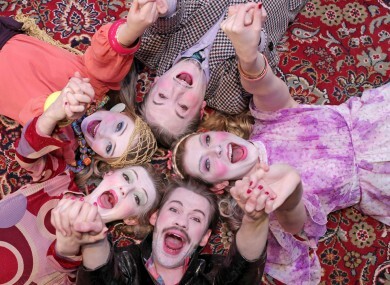 Show times and ticketing information can be found on the Smock Alley Theatre website. Email “Smock Alley Theatre reopening after 225 years”. Feedback on “Smock Alley Theatre reopening after 225 years”.